Completely furnished home away from home. Fully operable kitchen, dining area and family room. Seperate Living room, forming dining room and half bath on first floor. 4 Large Bedrooms with 3 queen beds and 1 full. Master bed is very large and it has a queen bed. Master Bathroom has a Garden Tub, two walk in closets a standup shower and toilet. 2nd upstairs full bathroom has a tub/shower combination. Loft for reading or working on your computer. Corner couch and desk and chair. Minutes to shopping, beach, natural springs, golf, waterpark. We bought this property for our family to enjoy all the perks of Florida without the traffic of a busy city. We can drive anywhere within 45 minutes to an hour. We love the area because it is a little bit country with the beach, restaurants, golf and shopping 5 to 10 minutes away. We are a family of four. We have been married since 1996. We live in the northeast and grew up traveling to grandparents and parents house in Florida a couple times each year. We carry on this tradition by having our own home to share with family and friends. Many of our parents friends moved north to Spring Hill due to the high cost and traffic of the Clearwater area. We are now able to have a beautiful 2nd home in a nice affordable area and drive to all the wonderful attractions that Florida has to offer. It is a nice area and neighborhood for a vacation, winter get away or snowbirds with all the comforts of home. Fully furnished kitchen with two pantries. Spacious home near the Nature Coast. The owners were nice people and very accommodating. They were very prompt in addressing our concerns, and met all of our needs. Thanks so much for staying! You are welcome back any time. This house has a great location, just a few blocks off Mariner and close to everything in Spring Hill. It's a short drive to Pine Island beach, one of our favorites, as well as to kayaking on the Weeki Wachee. Plenty of room in the house to spread out; all four bedrooms were roomy, and the beds were comfortable. The house is somewhat sparsely furnished (i.e., three chairs at the dining room table, and some dressers that need repair) but it met our needs. The kitchen was well stocked with basic goods and had plenty of pots and pans. The dishware was a bit haphazard but again, met our needs. Overall, if like us you are looking for a home base and don't plan on spending a lot of time at the house, this is a great location and set-up. If you are looking for somewhere to truly be your "retreat", this house would need a few more creature comforts. The owners were great to communicate with and check-in/out was easy. Thanks so much for choosing our home. We appreciate the good review and the honesty. We try and keep up with replacing things that get mistreated or go missing. I apologize for the items you mentioned. We will remedy those issues immediately. Thanks again! The house was very clean upon arrival and contained anything you could ever need. During my stay the refrigerator broke and Lisha had a new one there as soon as possible that fit our schedule. The lady who cleaned the house did a thorough job and was very respectful of personal belongings. 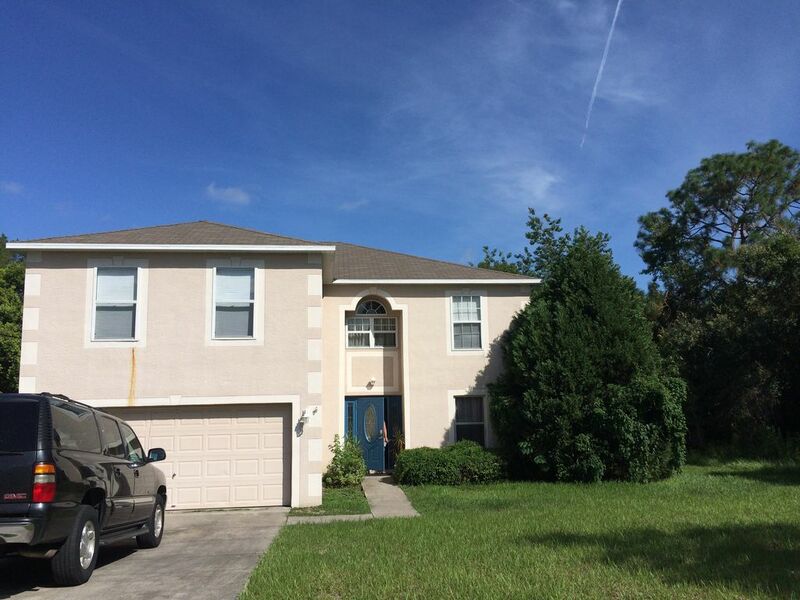 Check out was easy and would highly recommend this property to anyone staying in the Spring Hill Fl area. Thanks so very much for your stay and for the great review. If you are ever in need of housing again, please don't hesitate to stay with us. It was a real pleasure.